The door bell startled Harold. He was not expecting anyone on a snowy Saturday afternoon in January. He moved quickly to the front door and opened it to find his teenage grandson. “Hello grandpa,” the boy blurted, “I came to shovel your snow.” At that Billy grabbed a shovel from just inside the front door and went immediately to work. Harold closed the door and watched him through the glass in the door. Billy attacked the snow like he was angry at every single flake that fell from the sky. The look on his face and the force at which he threw each shovelful of snow concerned Harold. “Hello,” came the voice of Harold’s daughter-in-law. Madeleine was sweet, nice looking and ultimately clueless. Her small social circle was her main concern in life. “Your son is here shoveling the snow,” Harold reported. “Please do,” Harold said. “Goodbye,” and at that he hung up the phone. “Do you want some hot chocolate or hot tea or a Coke or something?” Harold asked. “Coke is OK,” the boy said and grandpa went to retrieve the soft drink. As Harold was handing off the drink, Billy said, “Can I stay here tonight, grandpa? Please?” Billy looked like he was about to cry and Harold was completely caught off guard. Harold had plenty of adventure raising his own boy, but no teenage drama like this. He did not know whether to follow the boy into his room or let him alone for a while. The long indecision sealed it. He left the boy alone. When the afternoon turned to evening and he had no return phone call from Billy’s parents or return appearance of the boy, Harold called the parents again. “Give me his cell phone number,” Harold commanded and Madeleine read it off from a sheet of paper. “Thanks,” Harold said and hung up the phone. He immediately dialed his son. “This is your father, where are you?” Harold demanded to know. “What is going on?” Harold demanded. “It is just too embarrassing, dad. I’ve got to go.” At that William hung up the phone. He sounded upset and about to cry. The situation was just too strange so Harold marched into the back bedroom. Billy was lying face down on the bed. Grandpa sat on the edge of the bed and studied the boy a moment. In 62 years of his life Harold had faced a lot of problems. His wife died of cancer, his job changed and evolved into different things over the years, his son wanted to attend an expensive college. He dealt with various moods and arguments from family members, but he was not quite ready for this challenge. In the morning at the breakfast table, Harold sipped coffee while Billy poked at some cereal. Finally, Billy broke the silence by saying, “I told dad I am gay and he said to leave and not come back unless I changed.” He reported all of this while looking at the floor. He never looked at his grandfather. “I see,” grandpa said, even though he didn’t. Late that morning he drove over to his son’s house to discuss the situation. William said he was completely embarrassed and could not have a gay son. Madeleine chimed in that she was mortified and did not know how she would face her friends. After some pointless discussion, Harold left with some of Billy’s clothes and his school books. He made a few more runs at making peace between Billy and his parents, but to no avail. Over the next few months, Harold was handed all of Billy’s clothes, books and personal effects and William declared they were through with the boy. After such a long period of time on his own, Harold once again found himself raising a teenage boy. He never once questioned why his grandson turned out to be gay. He did wonder, however, how he ever raised a son who could reject his own son. Harold hoped that whatever he did wrong the first time, would not be repeated this time around and that Billy would not grow up with hate in his heart. Another poignant and thought provoking gem . It certainly touches the heart of this Gramps. Well done, Rich! A wonderful piece of writing. I’m humbled. Beautifully done. This is beautifully written and compelling in its message! Bravo! Thanks, I appreciate the nice words. Great story! Spread the love and not the hate. where the hell is the “about” tab? There’s no need to be rude. All you had to do was ask. Oh, I had to look myself. If you hit the menu circle under the header picture, it will reveal a lot of choices. 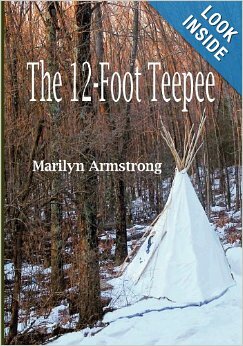 This is the Marilyn Armstrong blog and I am a Sunday guest author. We are both up there. Reblogged this on Begin To Live. some people don’t like criticism, I’m not wholly keen on it my self, but hay ho it should serve a purpose. I like your story, I posted it on my FB page, because I’d like other people to read it too. I do however, believe that stories require several re-writes and I think you story is a case in point. You clearly can write “story” but i felt your writing let the story down. I didn’t get any depth to the characters physically or emotionally and that lack of dimension weakens a great story. I don’t claim to be any sort of expert, but the mantra of my varied writing education has been, “write, write and write again”. I would encourage you to do the same. I think you can make this story better. I hope I haven’t cause offence, it’s not my intention. I think you have talent, but talent can always be improved upon. Thanks, I appreciate that you take the time to comment. As I frequently write at this length for blogging, I try to stick to a main point. I do, however, think this could be the basis for a longer short story. That does not fit this blog, I think. This is so sad… well done! Another Harold! I wonder how often I used that name. Since we are in the midst of a blizzard here, I thought it would be a good day to reblog this. I’m very fond of Harold. Yes, but there are so many Harolds!